10. die-cutted copper foil tape into your drawing. Part number ET-7025 is 0.025mm thickness copper foil. ET7025 conductive copper tape is a kind of high conductive copper foil coating backing with conductive adhesive or non conductive acrylic adhesive.The conductive adhesive can be strongle bonding with any metal surface,make electrical closed and fill electric lap and gap. 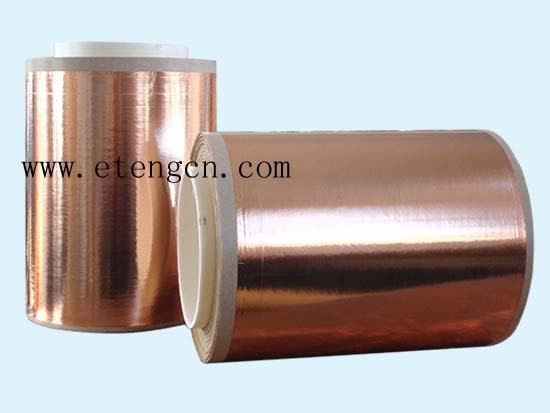 Shielding conductive copper adhesive tape is economical and convenient to use. Used to seal the joints of the EMI shield, the housing and the electronic equipment, to shield the cable, to provide a reliable ground surface, and to provide electrical contact to the surface that cannot be welded. We can conductive adhesive or non-conductive adhesive with copper foil as your requirement.